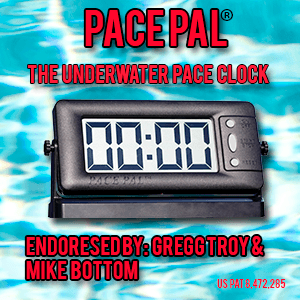 Swim Gear: Pace Pal clocks are perfect for swimmers to use on "test sets"
PACE PAL is a SwimSwam partner. The right gear makes a huge difference in swimming practice. What if you could carry your own portable pace clock to practice, your own personal pace clock that is also large enough to be seen from the deck or underwater in your lane? PACE PAL clocks are highly portable and can be used to great advantage by swimmers and coaches. Some uses are obvious, like elite swimmers using them for TEST SETS or swim teams using them for Ultra-Short Race-Pace Training (USRPT). PACE PAL is easy to use. Synchronize your PACE PALs and put them at each end of the pool. 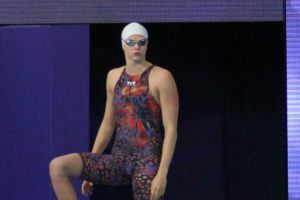 Put them in your training lane, above water on the deck and on the bottom of the pool staring up at you when you finish. You don’t have to struggle to see the clock. Your “finish time” and next “send off” are right in front of your face. Portable PACE PAL Pace Clocks are valuable tools for elite swimmers, teams adopting USRPT, or any swimmers who strive to stay on on pace. 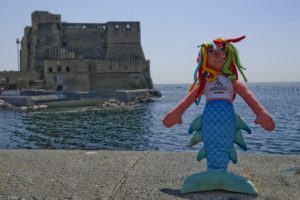 I met PACE PAL Founder and President, Larry Day, at the ASCA Convention last September, and I was impressed by his portable, underwater pace clock. Apparently I’m not alone. Florida Gators and 2012 Olympic Coach Gregg Troy, University of Michigan Coach Mike Bottom, and 4-time Olympic medalist Peter Vanderkaay all endorse PACE PAL. PACE PAL is an eye-catcher. The design is beautiful. It’s sleek-black, with a big LCD screen (very easy to see underwater), but small enough and lightweight enough to fit inside your swim bag. 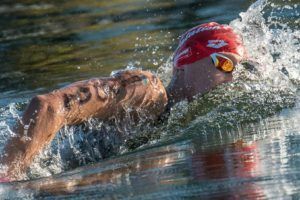 IF YOU’RE IN INTENSE PRACTICES OR JUST SWIMMING TO STAY FIT, PACE PACE IS IDEAL. I’m retired. I essentially swim to eat. I train enough to stay in shape and not worry about my daily caloric intake. Often I’m alone in the pool, at odd times, getting in 3,000 yards. If there’s a pace clock, one I can see, I’m in luck. The workout nets much better results. I train on intervals, pushing my pace. If there’s no pace clock, my mind wanders, and I swim the entire time in second gear. Having PACE PAL is a game changer for me. (NOTE: Mr. Day sent me a unit to test for free, and I am not sending it back. It’s staying in my swim bag in my car trunk for easy access.) From my competitive days, I’m a hyper-focused trainer, alway catching my splits on sets. I’m used to twisting and lifting my head to catch the time from a clock on deck. With PACE PAL those days are gone. I’m all about body position in the water, forcing my head down. (We were taught head-up swimming in the 1980s.) 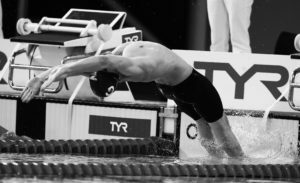 If I lift my head to catch split-times from a clock on deck, I tend to lose my head-down hips-up body position for the rest of the lap. With PACE PAL that’s anicent history. I put the underwater PACE PAL on the bottom of the pool facing up, about 5-6 dolphin kicks off the wall. That’s my dolphin kick limit over a 3,000 yard practice. I strive to push six dolphin kicks off every single, painful wall. I catch my splits right before my breakout, and I’m up and swimming on the next lap. I LOVE IT! There’s no lifting or contorting my body to see an on deck pace clock. I get my split, on the move, and I keep pushing the pace, AND I keep my head and hips in the proper position. If you’re training for personal best times season to season, staying engaged is everything. 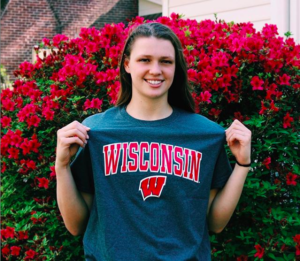 It’s the smart swimmer, the focused swimmer, who improves year to year, makes the college team, finals at masters nationals, or even makes an Olympic Team. PACE PAL is a tool to help you stay engaged, stay on your pace, and push your underwater kicks off every wall. PACE PAL takes the excuse away, I couldn’t see the clock, because it’s always in your field of vision. PACE PAL helps you push your walls to 4, 5, 6 or 10 dolphins kicks, because where you get your split-time is based on where you put PACE PAL. It is your marker on the bottom of the pool. 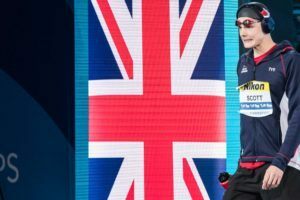 In my opinion (not speaking for SwimSwam), the Olympic medalists in 2016 will be the ones who have pushed their walls to the limit, all 14.9 meters, in practice, day-in and day-out for four years. They’ll have the leg-power and lung-power to stay on pace because they’ve pushed it in practice over and over again. PACE PAL, as you’ll see from the video below, is perfect for mounting a GoPro camera. Mount it! Use it! Capture your practices, your underwaters off the wall, and critique your tight streamlines. At SwimSwam you know we love this kind of media. If you’re someone who can edit video, have fun cutting an underwater video of your practice and send to us to share. Thank you again for the free unit, Mr. Day. PACE PAL is now a permanent part of my workouts! 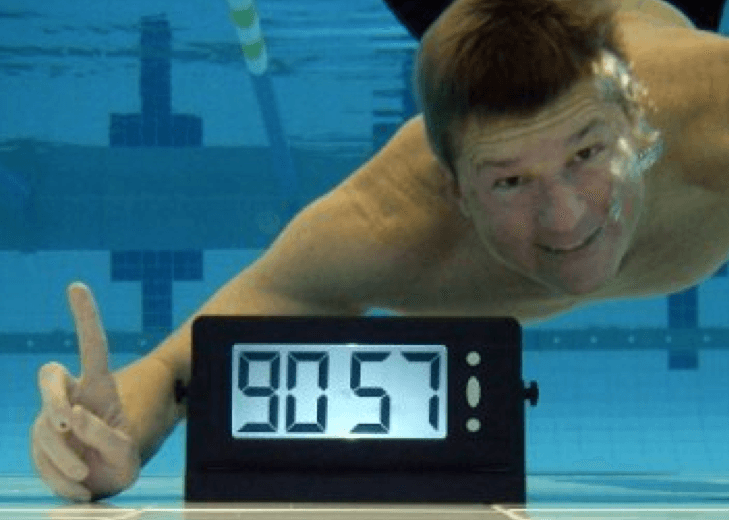 The “Pace Pal” underwater pace clock was designed and developed by a lifelong swimmer. It’s challenging to keep motivated and stay on pace in the pool each day. The Pace Pal underwater pace clock was created to meet that need with it’s high contrast LCD screen and highly visible BOLD DIGITS. Naturally portable in nature, it weighs just over 3lbs and fits into exercise bags easily. It’s long life battery is also easy to replace if needed. Like Pace Pal on Facebook here. Gold Medal Mel Stewart is a two-time Olympic Gold Medalist and a SwimSwam co-founder.